Dr. Bose is a recipient of the Delhi Medical Association Excellence Award in the field of Respiratory, Critical Care and Sleep Medicine and Scroll of Honour for outstanding professional services and incomparable contribution to humanity from University College of Medical Sciences, Delhi University. He is a committed professional but more importantly an empathetic human being committed to providing a better quality of life to individuals seeking his assistance. His mission statement stemming from his extreme concern for human misery is to eliminate suffering and death due to lung ailments primarily Bronchial Asthma, through education, advocacy, community outreach and research. He graduated from the University College of Medical Sciences, Delhi 1986 and did a Doctorate in Internal Medicine and Respiratory Diseases from Delhi University and karnataka University. He also completed a Super Speciality Fellowship in Pulmonary, Critical Care and Sleep Disorders from the Department of Pulmonary, Critical Care & Sleep Medicine, Safdarjang Hospital in 1992. This was followed by short term advance trainings from Australia, UK and Germany in his fields of specialization. Dr. Bose has been honoured as Fellow Indian Sleep Disorders Association (FISDA) for contributing to the growth of sleep disorder medicine in India. He has served in several institutions in the capital namely, Safdarjung Hospital, VIMHANS, Orthonova Hospital, Escorts Hospital Faridabad and Fortis Hospital Vasant Kunj to name a few. He served as Medical Superintendent and Medical Director of Orthonova Hospital from 1998 to 2002. 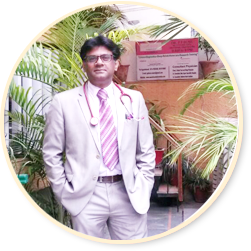 He is currently a Senior Consultant at the National Heart Institute and Max Super Speciality Hospital, Saket. 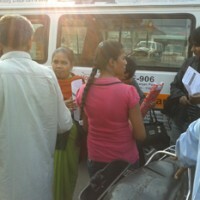 Dr. Bose is also associated with TERI as an Ethical Advisor for projects in the Health Sector. He has also been appointed as a Jury Member for Heath & Family Welfare projects funded by USAIDS in 20012-13 for projects under the Millenium Alliance, a funding forum supported by USAID and FICCI. Bose’s passion and commitment for his profession led him to start the SAANS Foundation, a Respiratory organisation actively involved in community outreach, professional training and research activities in India. Bose has taken awareness right to the doorstep of the sufferer, namely the common man in his outreach programme for the police officers, the autorickshaw drivers and the school children. The Global Initiative on Asthma (Gina), World Health Organisation (WHO) and American College of Chest Physicians have lauded Dr. Bose’s contribution to respiratory diseases. 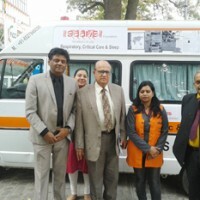 The SAANS Foundation has been acknowledged globally for its work in the field of sleep research and advocacy..
A strong desire to help people from the lower economic strata of society and the lack of trained health care workers in the health and disaster management industry led to the creation of “sAksham”, a multipurpose capacity building forum, in October 2012. As Chairman of sAksham, an initiative of SAANS, FICCI and the National Heart Institute, Dr. Bose teaches and trains suitable youth from the lower economic strata of society as multi-purpose health care workers in the health and disaster management industry. A practicing educationist, Dr. Bose believes in enriching himself and raising the bar of his fellow practitioners. In keeping with this philosophy, Bose has contributed as guest faculty in innumerable national conferences, written many books and published articles. Among his popular books are Know Your Disease Asthma, 1998, Reviews in Chest Medicine, 2002, Sleep Medicine for Chest Physicians, 2005 and Manual of Mechanical Ventilation, 2007. 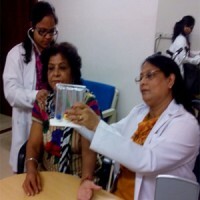 He is involved in teaching program at various national and international level.he served as faculty and examiner in masters in physiotherapy training (MPT).he is a facuty at National heart Institute and Students from Indira Gandhi open university in post graduate diploma course in cardiology. (PGDC).